TV dramas. We are saturated with them. We have thousands of choices. Who hasn’t spent half an hour on Netflix trying to decide what to watch, only to hopelessly give up? Luckily, most of the television being made right now is top-notch. The Golden Age. TV in its prime. But it seems to be focusing on cable and streaming services, and we are forgetting that network television is not just syndicated shows and sit-coms. This is when I start talking about the greatest thing you can find if you just do a little bit of old-school channel-hopping. This Is Us. Just saying the name of the show gives me shivers, because I will admit right here and now that I have cried with every single episode. Every. Single. One. It is so powerful, and the relationships and characters are so well written and performed, that you’d have to be an ogre not to shed a tear. I won’t spoil the premise of the show if I say This Is Us takes place at different times. I mean, even if you don’t watch the show, you know this by now. We have the story of Jack and Rebecca Pearson (Milo Ventimiglia and Mandy Moore, best married couple chemistry ever) who, in 1980, have triplets. Alas, the youngest dies, but as fate would have it, an African-American newborn is abandoned that very same day at a firefighter station and is delivered to that same hospital. Though in pain, Jack convinces Rebecca to adopt that little kid. 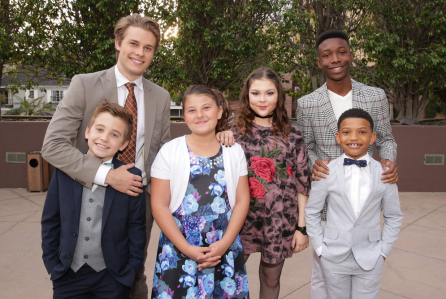 And this is how they end up raising the Big Three: Kevin, Kate and Randall (Justin Hartley, Chrissy Metz and Sterling K. Brown). We mostly see the children at three different stages: 1990, 1997-1998 and the present day (with one flashback once to 2008). We see their parents evolve with them (along with Ventimiglia’s facial hair), but in the present day, this family is scarred by the untimely death of its patriarch in 1998. As of yet, we haven’t seen Jack’s death, but this event’s shadow looms large. But to be honest, how he dies is not something we should care about. It’s about the journey, about this family’s relationship with each other, how events from the kids’ childhoods have repercussions in their adult lives. How Jack’s absence marks them. What it means to be a family. As you probably know, Sterling K. Brown has been taking home all the awards because he is the best and he conveys like no other what is like to be a Cool Dad (Randall’s words) and what I’ll call the Single Man Tear. But like Brown himself has said many times, it is a group effort, and just as he sometimes leads to the others’ supporting performances, he supports the others’ leading performances. Which is why I wasn’t surprised at all when the whole cast was crowned as the Best Ensemble on TV for a drama at the SAG awards. And it’s not just the adults. Bear in mind that there are three actors portraying each triplet (not counting the newborn ones), and they all excel. But enough of me rambling. Just start watching This Is Us. Now. And make sure you have a box of tissues and chocolate within reach. 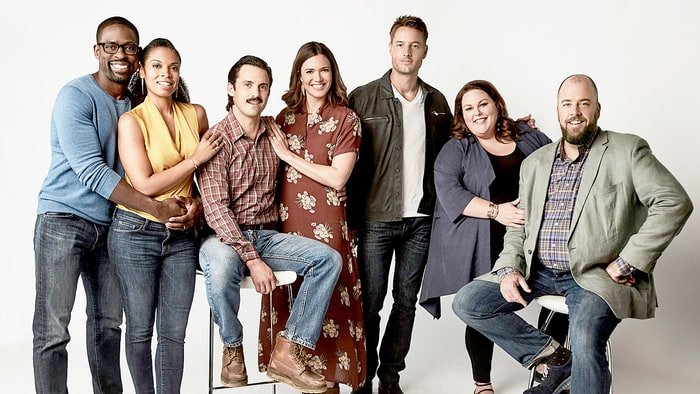 You can watch This Is Us every week on NBC. Or somewhere else, I guess, if you don’t live in USA. I still believe in broadcast TV and the power it has to bring people together in watching something like This Is Us that they can talk about the next day. There is something communal about that you can’t get with streaming services. 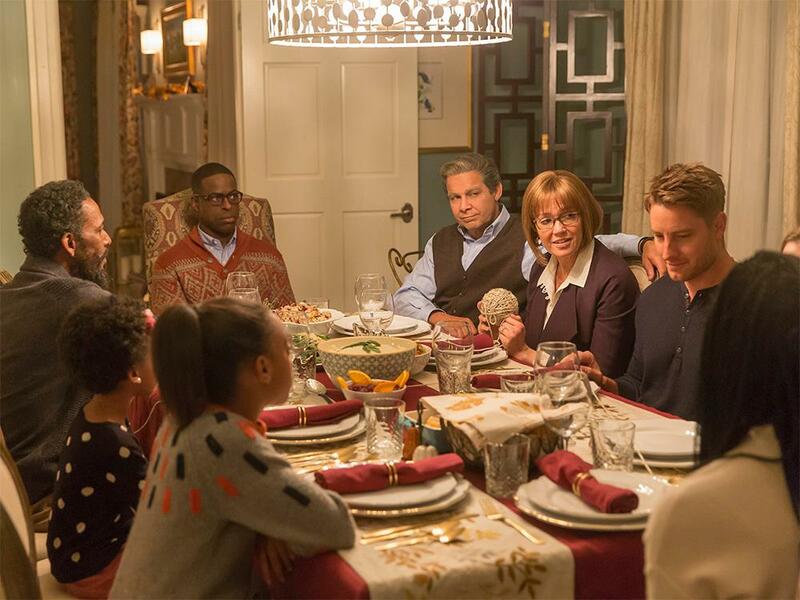 NBC has a great thing and it knows it because This Is Us will follow the Super Bowl. Milo and Mandy lead a terrific cast that connects with the viewer in a powerful way.